Do You Have Very Long Urls and want to make them shorter? 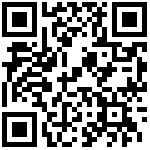 Add My QR Code To Your Website!!! McGraw-Hill Education Online Samples gives teachers and administrators access to a wide range of McGraw-Hill Education programs 24/7. Making it easier to search, navigate, and view sample lessons, McGraw-Hill Education Online Samples provides a dynamic and eco-friendly experience for evaluating McGraw-Hill Education programs at your own pace, anytime, anywhere. Belton Middle School Is The Best School!!! How Did You Get To My Website?